The week of 11 to 15 March accommodated plenty of room for a variety of works to set off from librarians and NRENs collaborating on repositories during the LIBSENSE workshop to AfricaConnect2 coordination meetings to knowledge exchange during the annual WACREN conference. This year, Ghanian NREN GARNET hosted the conference in the capital city of Accra. 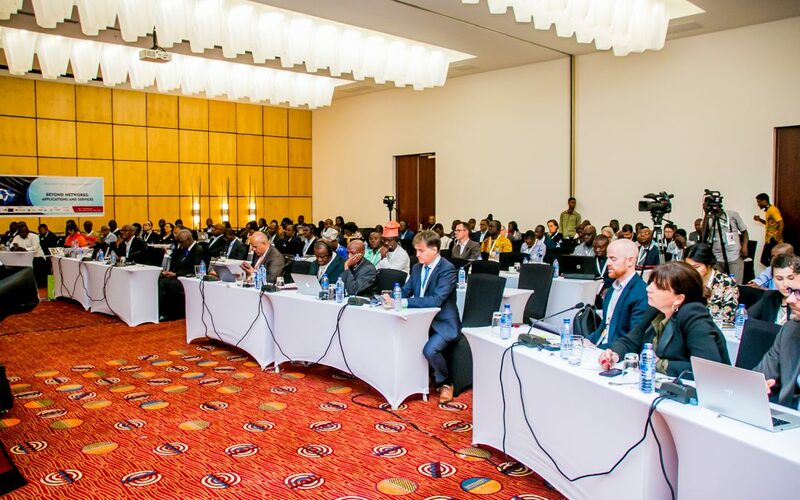 Representatives of several NRENs, institutions, universities and other relevant organisations from West and Central Africa gathered during the two-day conference and presented ideas, challenges and opportunities whether it was during a session or the breaks. The first day of the conference kicked-off with an opening ceremony, including inspiring words from WACREN’s CEO Boubakar Barry as well as GARNET’s chairman of the board Clifford Nii Boi Tagoe who highlighted that all bodies should cooperate to create the Africa we want. This was followed by African Internet Pioneer Nii Narku Quaynor engaging chant saying “when I say AfREN you say connected!”. An empowering and inspiring start of the conference one would say! After welcome remarks and goodwill messages, the two Internet Hall of Fame inductees Erik Huizer (GÉANT CEO) and Nii Narku Quaynor (WACREN Chairman of the Board) opened up the knowledge sharing floor with a discussion on the importance of global collaboration to support national research and education development.